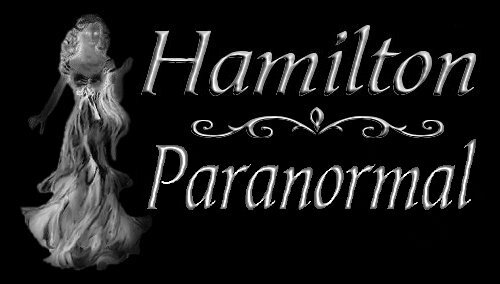 Hamilton Paranormal was founded April 22, 2002. We began this site with the hope of helping those like ourselves that are seeking answers to the happenings in the paranormal field. We found that many paranormal sites, although they were built very well, didn't offer answers to our questions. So we have begun the quest for knowledge and hope to help others in the process. We have visited numerous historical sites, and taken a vast number of pictures in an attempt to capture the mystery and beauty that can be found in the paranormal world. Each site is unique in itself, with a history that is quite fascinating. On each page you will find what history we could find for the site we've visited, along with the pictures we've taken while there. Accompanying each picture is our explanation of what we felt while we were investigating the site depicted. We have attempted to explain the paranormal phenomena we have encountered along with the explanation of the feelings that occurred at the time. However, we are not trying to say that our explanations are the only ones possible. As that old saying goes, there's always more than one side to a coin. Many of the pictures we have taken never made it to the site because, quite frankly, there just isn't enough room for each and every picture. And there are a great many of the pictures that show little or nothing. We have attempted to display only the best of our pictures in an effort to share with you what we have discovered. We use both the digital camera and the 35mm camera to take the pictures. It's not unusual for us to take up to 1000 pictures in one visit. Nor is it unusual for us to revisit a site many times. To us, a site that we have investigated is never a closed issue. Each time we visit the same site we come away with something more. We are not here to win a credability contest. We are not here to make money. And we are not asking you to believe everything we say. Whether you believe or not is your own decision and no one else can make that choice for you. This site is here only as a learning tool. To show folks that the paranormal does exist in our everyday life. As to whether you think the pictures that have been taken are authentic or not.....you decide. Whether you believe or not, we do know one thing. You will walk away from this with a bit of history from the Hamilton and surrounding area if nothing else. Now, enjoy your visit. And if you have comments or questions, please feel free to email us.